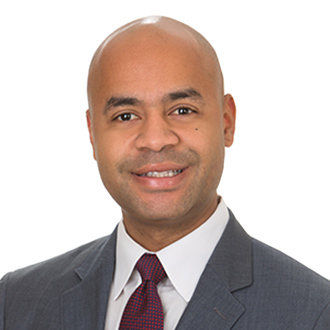 FordHarrison LLP, one of the country’s largest management-side labor and employment law firms, is pleased to announce that Luis A. Santos has been named the firm’s first Deputy Diversity Partner. This role will allow Luis to expand the firm’s efforts of recruiting and mentoring diverse attorneys with a focus on Hispanic outreach. “The firm recognizes the value that Luis’s background, experience, and passion for diversity provides. He will be able to craft this new position into a tool that will help shape the future of FordHarrison’s diversity and inclusion efforts,” said Al McKenna, Managing Partner of FordHarrison. Luis is an active member of the Hispanic Chamber of Commerce of Metro Orlando, serves as the Chair of the Site Selection and Budget Subcommittee for the National Employment Law Council, and is Co-Chair on the Orlando Advisory Board with the Florida Diversity Council. Luis has a unique understanding of the administrative and legal challenges faced by clients in industries like hospitality, retail, restaurant, and grocery. Prior to attending law school, Luis worked for many years in hospitality management. He began as a front desk clerk and worked himself up to the position of assistant hotel manager. Luis also worked as a grocery store cashier. After becoming a lawyer, he wanted to continue helping companies in those industries with their employment-related issues. In addition to providing his services to the hospitality and grocery industries, Luis represents employers in a wide variety of industries, including restaurants, transportation, healthcare, and insurance, in all facets of employment law, including wage and hour disputes, discrimination claims, union avoidance, and regulatory compliance. Luis is fluent in reading and writing Spanish. He often uses his bilingual skills to train and educate Hispanic management and staff in their native language. Luis is the son of migrant parents and the first in his family to attend college. “I am excited to start this new role within the firm. I believe in FordHarrison’s commitment to fostering diversity and inclusion and this position will give me an avenue to help fulfil that promise,” said Luis.